Kit contains 2 Blizzard Missile Launchers for Wolves Space Knights in heavy armors. 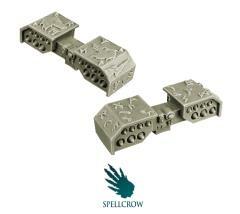 Set ideal for use with 28mm scale models. Perfect for converting figures for different games. The product is high quality cast resin. Needs to be cleaned and painted.